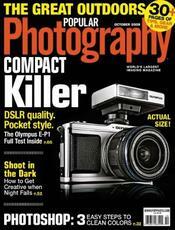 DiscountMags offers a Popular Photography Magazine 1-Year Subscription for $13.97. Coupon code "DEALNEWS" cuts it to $3.99. It includes 12 issues. Deal ends April 1. Of note, you can purchase up to a 3-year subscription at this per-year price.